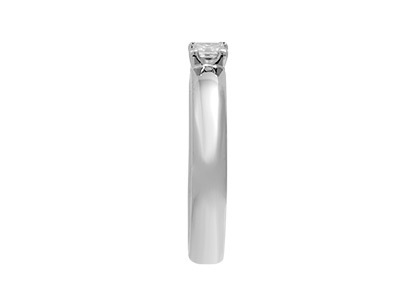 Beautiful in its simplicity, This modern contemporary band ring is crafted in 18 carat white gold with rounded edges for a comfortable fit, with a highly polished finish. 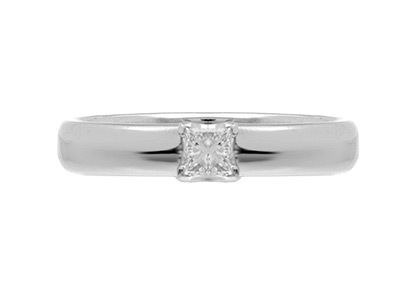 Featuring a gorgeous single square princess cut diamond set into a four claw angled setting. 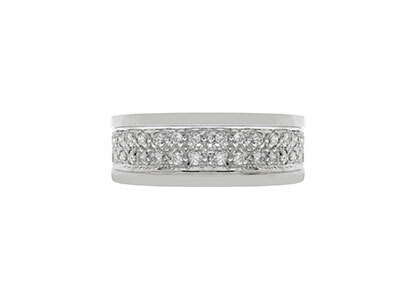 Suitable for wearing either as a wedding ring or a casual dress ring for a lady or a gentleman. 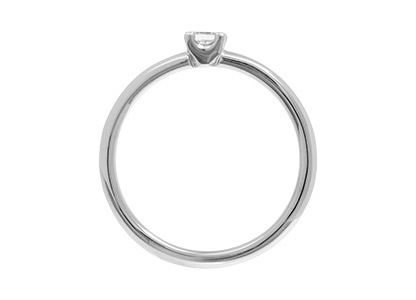 Total diamond weight 0.23 carats.– associated qualities, innocence and love. Stocked in finger size P,P 1/2. Other sizes can be made to special order in approximately ten working days for delivery or collection in-store.